What else could I do with my new machete? I am sure you were just as disappointed as I was when the Master Sword didn’t make its epic appearance in the Link portrait last month. Just like Link, I have always wanted to find adventure right around the corner with dangerous villains behind each corner. 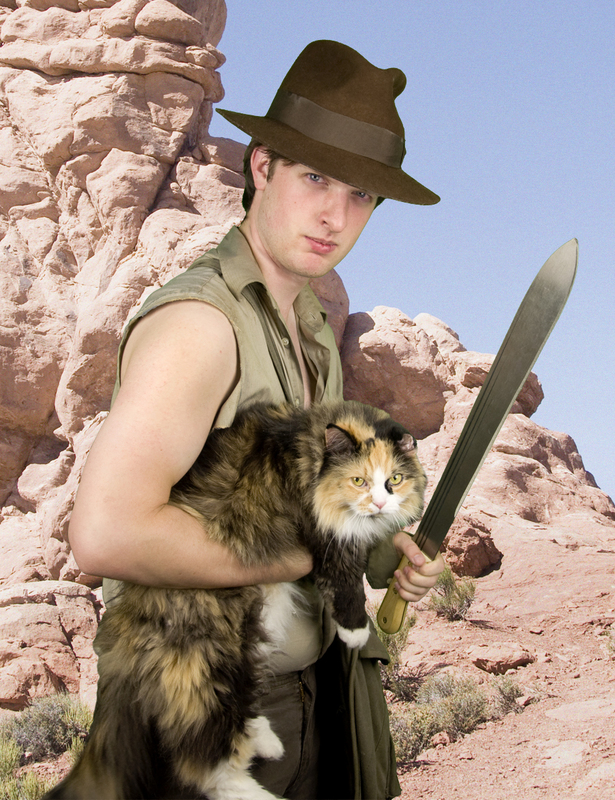 Indiana Jones comes in just at the right time to save Waffles from a rouge boulder. I would tell you a lot more about this portrait but I have a project that is demanding all of my time. You won’t be seeing this for sometime however but it will be well worth the wait. Also, the audio podcast should be up sometime soon. 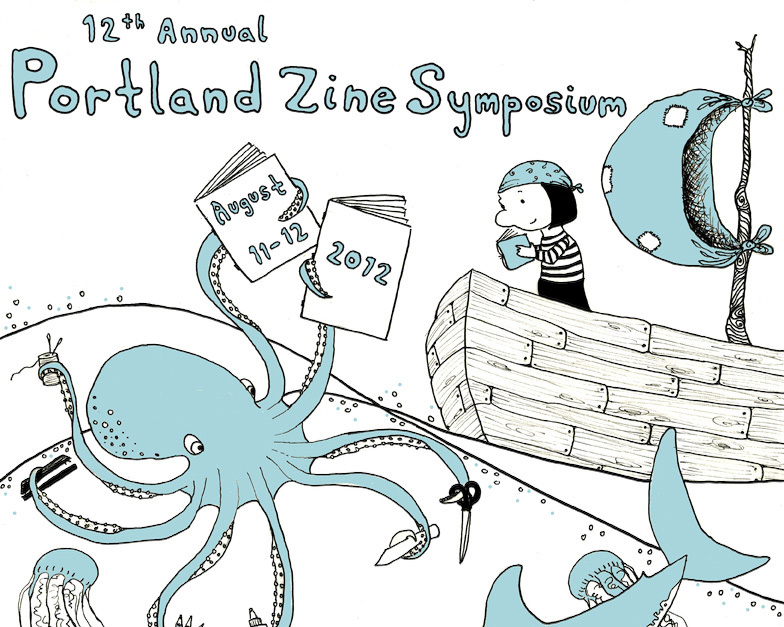 The Portland Zine Symposium just wrapped up over the weekend and considering I had a week notification to prepare I must say it went very well. 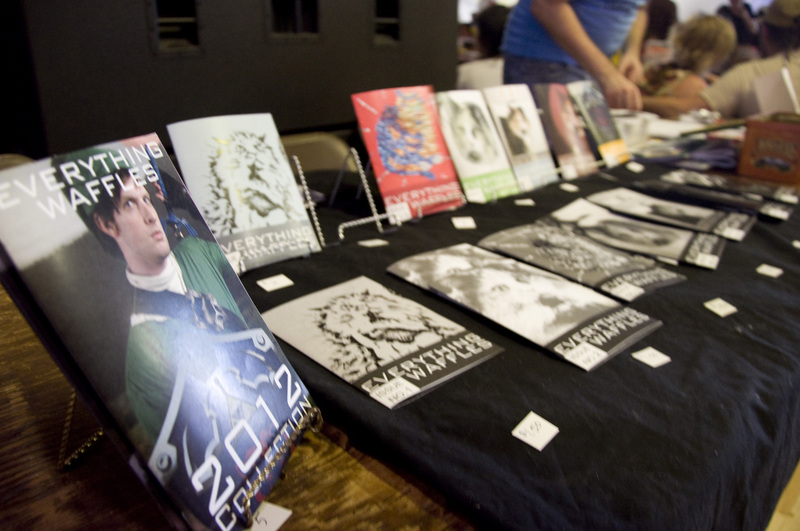 The Waffles zines have infested the zine libraries of fans from Portland to San Diego. Some great people came by and some of the latest copies nearly sold out. From what I can tell there has been a humorous response about the zines. There are blogs and websites scratching their heads over the portraits and I am excited to see how much they keep scratching. If you are interested in the 2012 Collection, they will become available online soon after there is a reprinting. I will put out an audio podcast soon about the show and talk about the Zine Symposium and also the great response the project received. There might be some new work surrounding videos and perhaps a new series. If you want to buy any of the monthly zines now is the time! There are several left over and some that have unseen content. 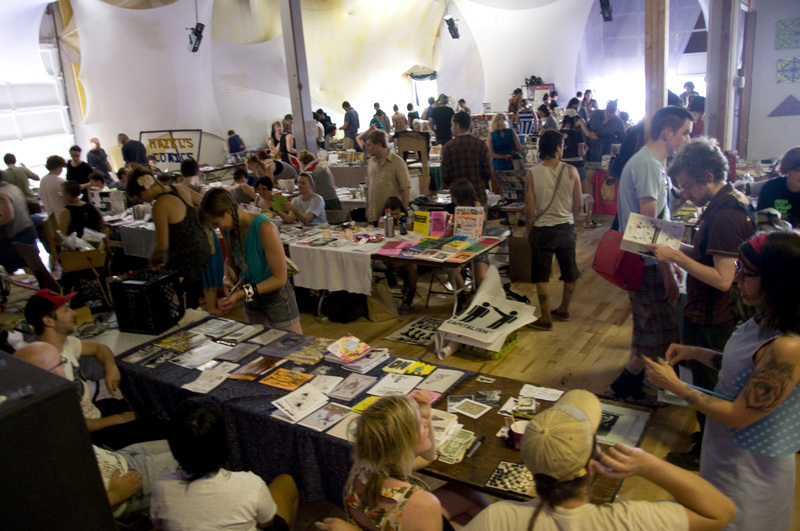 The Everything Waffles monthly zine and additional publications are coming to the Portland Zine Symposium this Sunday from 10 am to 5 pm. Not sure what booth you can find us at but I can tell you that Waffles will not be present. Maybe you will find something new and exciting? Perhaps a new publication or the rumored gold edition? Check it out at http://pdxzines.com/.